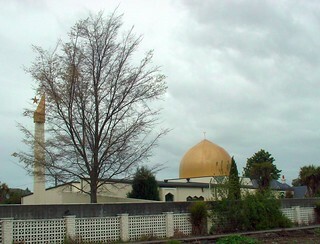 A view towards Christchurch Mosque which is Managed by the Muslim Association of Canterbury, New Zealand. The first Muslims in New Zealand were Chinese (muslim) golddiggers working in the Dunstan gold fields of Otago in the 1870s. They appeared in the New Zealand census from 1874. There are approximately 25,000 Muslims in New Zealand although it is hard to get accurate figures as the government is more concerned with "ethnicity" and Muslims come from at least 42 different ethnic groups. Today there are more than 33 mosques and community centers across New Zealand. "Census figures show the number of Maori Muslims increased from 99 to 708 in the 10 years to 2001" said Kireka-Whaanga, the leader of "Aotearoa Maori Muslim Association" (AMMA).